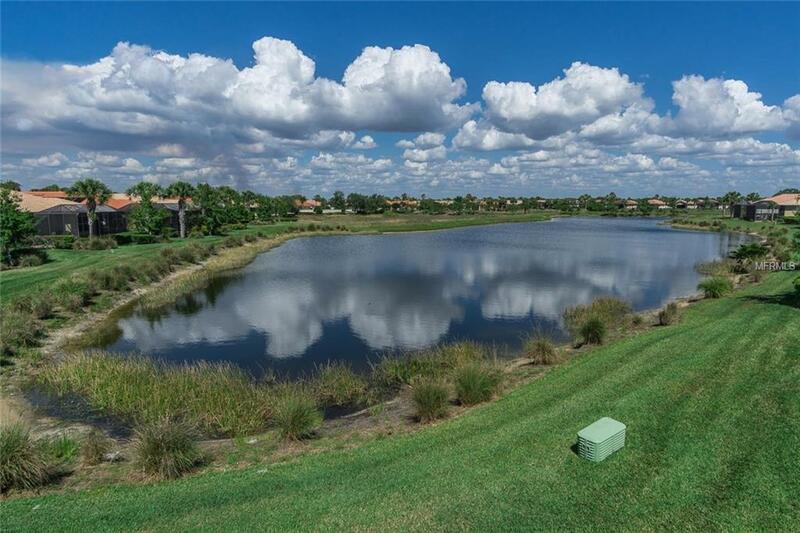 Lakefront at this price best deal in Venetian! now sold partially finished per inventory list. this home shows ownership pride. As you enter this light and open floor plan, a soft color palate awaits you. Private foyer entry takes you into your great room with a tray ceiling and an abundance of windows and doors to let in the natural light. The open plan features a kitchen with warm walnut upgraded cabinets and granite counter top with a complete stainless steel package. The kitchen has a quaint dining area with a garden view. Another feature in the kitchen is a large breakfast bar to accommodate additional guests. Closet pantries for additional storage and a tasteful light fixture. Guest bedroom is quite large and a full guest bath across the hall. The master suite overlooks the lake and has plenty of closet space with a large master bath with his and hers vanity. 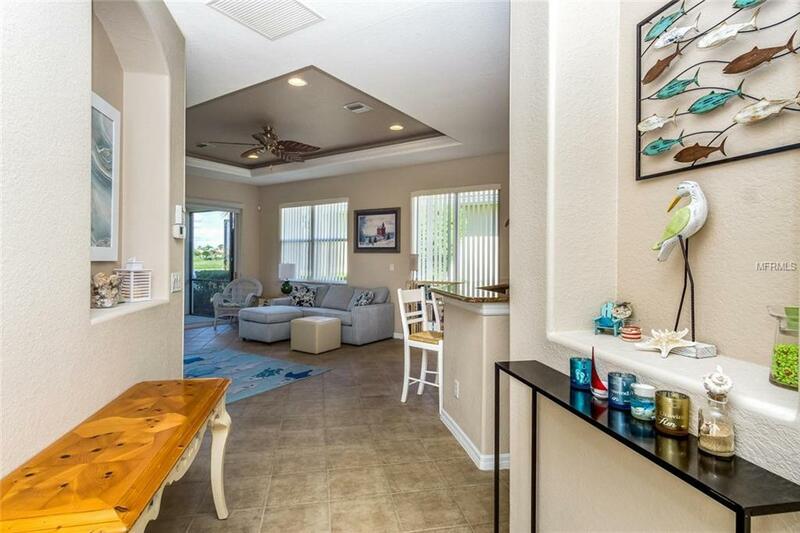 The outdoor lanai has a beautiful serene lake view with a semi private feel. 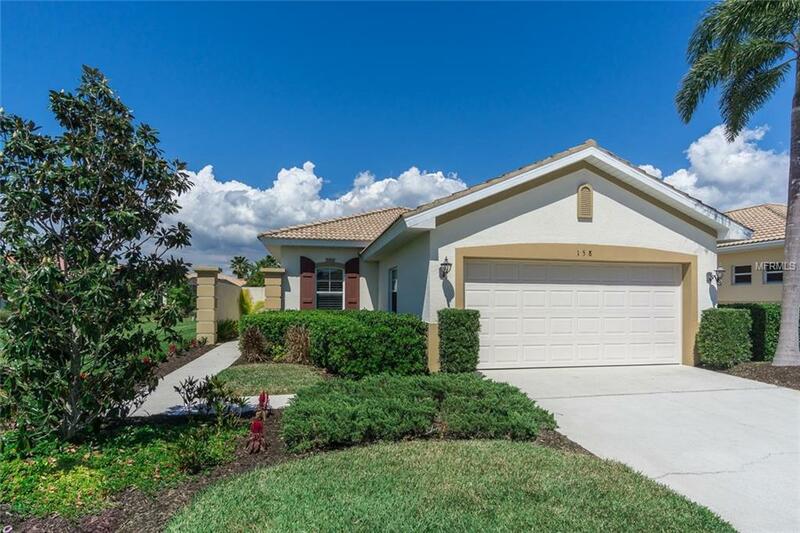 This home is move in ready with all the bells and whistles. No work is needed. Just sit back and enjoy your Florida retreat. 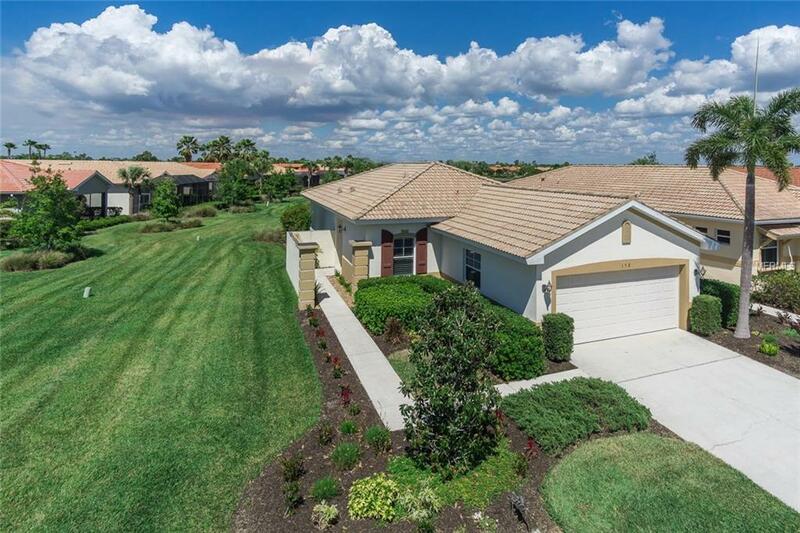 Venetian Golf and River has golf, fine dinning, club house, resort style pool, plenty of walking areas and is within minutes to shopping and Venice Beach. Welcome Home!